We proudly inform you that Claudia Bruins has been selected as leading individual in the practice area Competition/European Law, the Netherlands 2017, by Chambers & Partners (London, UK). 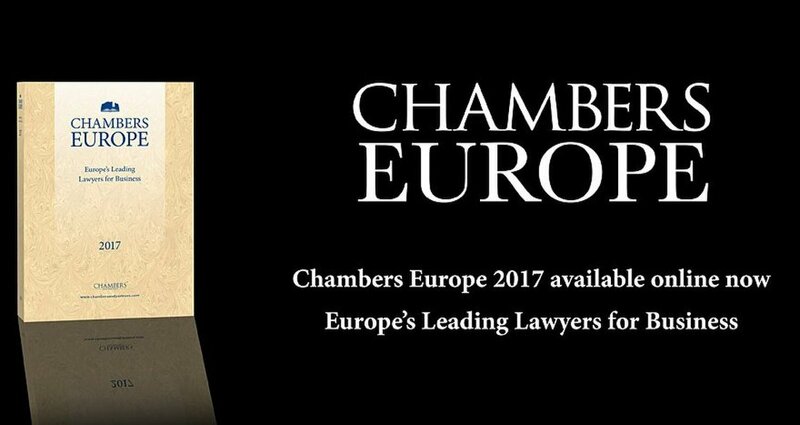 Today, Chambers & Partners’ Europe 2017 Guide is presented. Over a period of two years, Chambers & Partners conducted an extensive research by means of written and oral interviews with C-law’s clients and business partners, and with competition lawyers and economists from the Netherlands and abroad. Claudia Bruins hereby joins the top of eminent competition lawyers in the Netherlands. C-law is grateful for the contribution of its clients and business partners to achieve this ranking. Chambers & Partners is the leading independent guide for lawyers. Only lawyers with a proven track record in their practice area are eligible to join the ranking. A worldwide research conducted by International In-house Counsel shows that 51% of in-house counsel choose a lawyer or law firm on the basis of Chamber’s directories.